Mohammad Hosseini, is an Australian-Iranian who immigrated here years ago. Mo is a photographer and also an expert on Persian culture, especially their poets and writers such as Ferdowsi; Hafez; Omar Khayyam; Rumi and Sa’di. 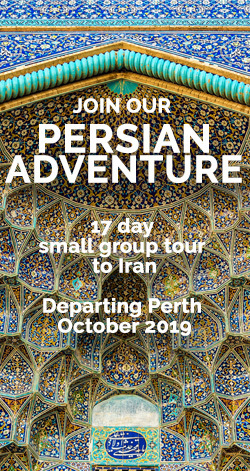 Mo regularly conducts small personalised tours from WA to Iran, and has one planned for the first three weeks of October 2019. Abigail, my wife, who is a professional photographer, and I will be going on that one, which is planned to last for 17 days. 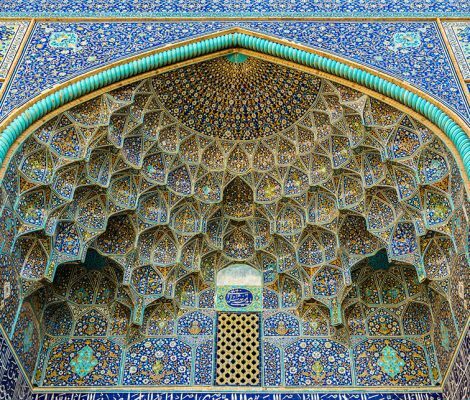 During that time we ­– and perhaps you – will have the opportunity of seeing some of the greatest sights in all Asia: the royal city of Isfahan; the silent ruins of Persepolis (bigger and grander than those of the Acropolis), and the tomb of the poet Hafez in the ancient city of Shiraz. Mo and I will be hosting an information evening early on 6th February designed to provide more detailed information to everyone who is interested in coming with us on what should be a marvellous and unique once-in-a lifetime experience. Please let us know if you’re seriously interested and would like to attend by emailing abigail@abigailharman.com.